The floor grinder and floor edge grinder is in one! 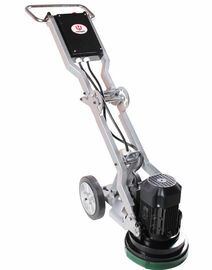 HW-G1 combines floor grinder and floor edge grinder into one. The ergonomically design allows the worker stand straight behind the machine, reducing fatigue, backaches, job site injures. 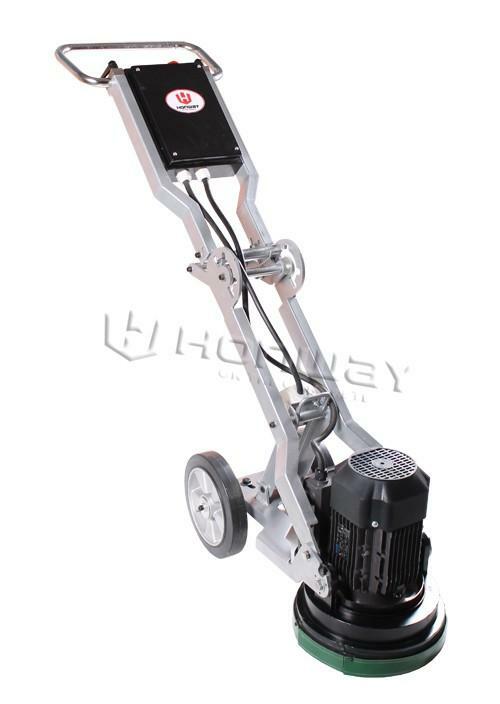 This equipment covers more square feet in less time and less effect, maximizing comfort and increasing productivity.HW-G1 floor edge grinding machine is ideal for removing the paint, thin set, adhesives, VCT, mastic and epoxy coating on floor; the flaoting cover allows the grinder float across the floor surface like ball on the ice, eliminating the suction lock and capturing most of the dust. 5, Wall protector protects wall from damaging when edge grinding. Wall protector can be removed and allow grinding all the way up against the wall. HW-G1: 3hp motor, machine is 75kg, and grinding pressure is 41kg. HW-G1: Both sides of could grind the floor edge, just loose the screws. Others: The floor grinder is unable to grind floor edge. Others: The stamping part is only the steel bar. HW-G1: Triangle structure helps the balance of bottom Plate, so grinding vibration is less. Others: Simple coupler causes more grinding vibration. Others: The common cover can’t adjust itself with the uneven floor surface. 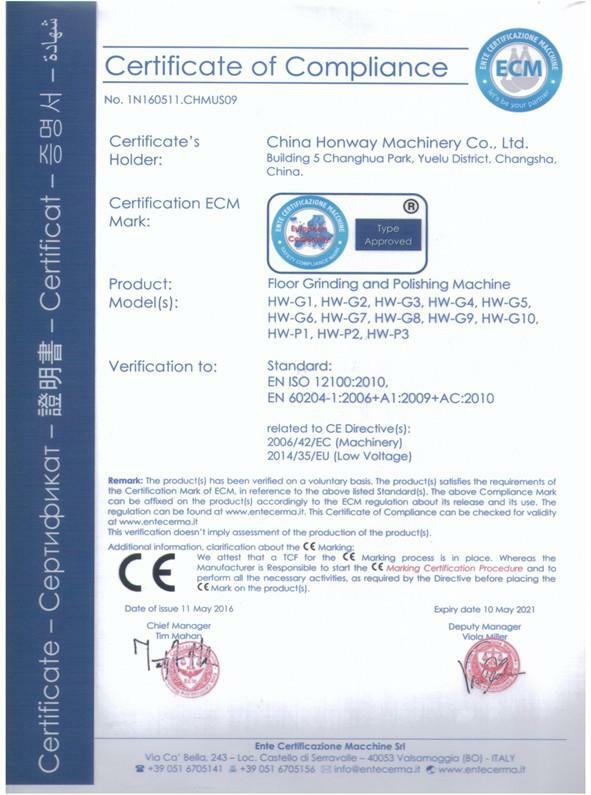 HW-G1: Wonder motor, famous brand in China, quality assured. Others: Motor without brand, quality is hard to be assured. HW-G1: Annular handle, ergonomic working posture. Others: A straight handle, not easy to operate. For sea shipping, please provide the name of seaport; shipping time is about 15-40 days; Goods needs to be collected in seaport; it is slow, but most economic transportaion. For Express like DHL, TNT, FEDEX, please provide the door address; Shipping time is about 3-7 days after Express company get the goods; goods arrives at door, no need for collect. it is most expensive, but quickest and reach door directly. It is certifcated by NB(Notify Party) of European Union.NB No.is 1282. 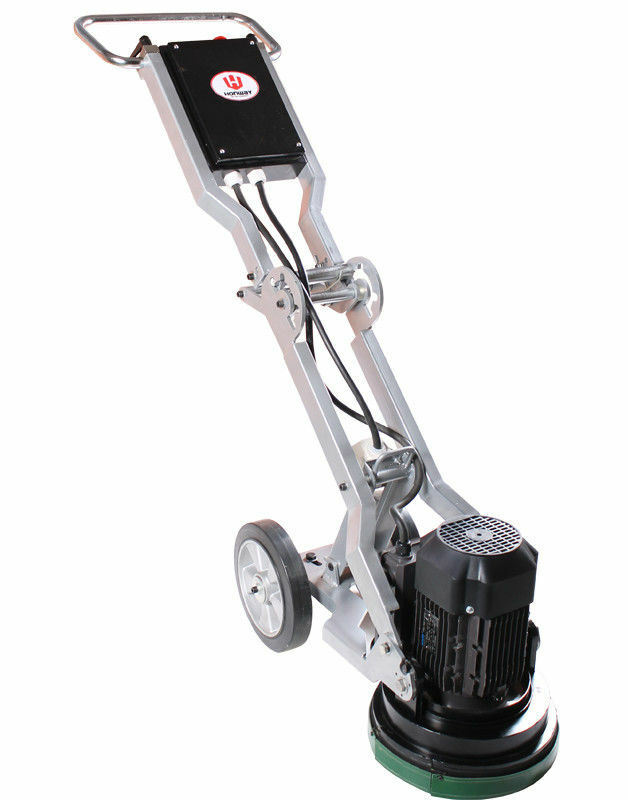 Q:What voltage the floor edge grinder HW-G1 can be used? Q: If the floor edge grinder could grind floor? Q: if HW-G1 could grind floor edge and leaves no margin? A: Yes, it can. Just adjust the wheel direction, it could grind floor edge 100% and leaves no margin at all; it could totally replace angle grinder. Q: if HW-G1 could grind right edge and left edge? Q: How about the floating cover of HW-G1? A: The floating cover follow floor up and down, preventing dust from entering work site. Q: If the machine vibrates when it works? A: HW-G1 has a chassis which is made of triangle structure. It is more stable and less anti-vibrate. Besides, the machine frame is made of steel tubes, not steel plate, so it could support machine more and decrease vibration. Q: What is the brand of motor and electrical element? A: The electrical part only adopt famous brand. Motor is Wonder, Chinese famous brand in motor; electrical elements are Schneider, world brand. Q: If HW-G1 could be attached to vacuum? A: Yes, it can; the diameter of port is 50mm, common criteria.